From custom footwear to education seminars, make us your one-stop health source. Has a recent CONCUSSION kept you on the sidelines? Our Physiotherapists, Chiropractor and Massage Therapists work side by side. 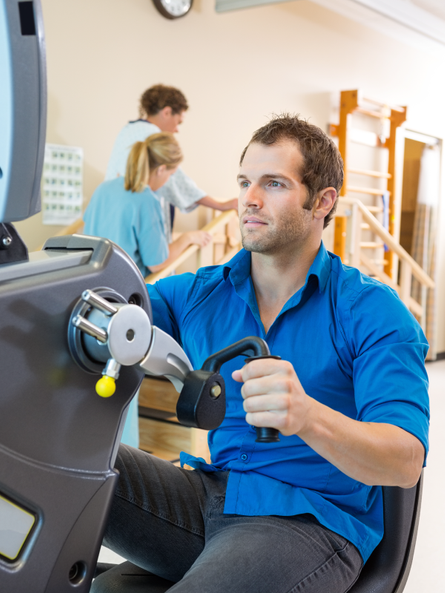 As a team we treat workplace injuries and provide motor vehicle accident rehabilitation. Massage, physio and chiropractic; which will you try? Compression socks, heat packs and more. The first step towards optimal health. At Paradise Physiotherapy, our mission is to provide our clients with a “team approach” to total health. To achieve this, we have a highly trained and experienced team of physiotherapists, massage therapists and chiropractors who incorporate evidence-based practice into each personalized treatment plan. Paradise Physiotherapy opened in 2003 and expanded in 2008 into a new facility in the LAWTONS Building. The facility includes a 1500 square feet gym which enables therapists to provide individual exercise programs to each client and to conduct functional capacity evaluations, work conditioning and motor vehicle accident programs.